In Imagining Robert, Jay Neugeboren told the sad, deeply personal, often harrowing story of one man and one family's struggle with chronic mental illness. Now, he presents an overview of the entire field: a clear-eyed, articulate, comprehensive survey of our mental health care system's shortcomings and of new, effective, proven approaches that make real differences in the lives of millions of Americans afflicted with severe mental illness. A book for general readers and professionals alike, Transforming Madness is at once a critique, a message of hope and recovery, and a call to action. Filled with dramatic stories, it shows us the many ways in which people who have suffered the long-term ravages of psychiatric disorders have reclaimed full and viable lives. 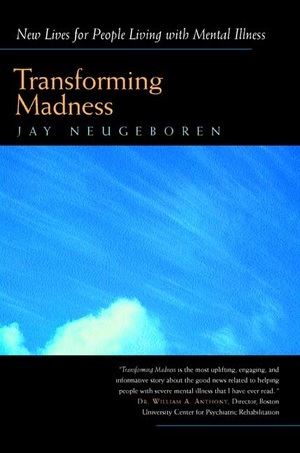 Jay Neugeboren has published seven novels, two short story collections, and two memoirs, including 1997's acclaimed Imagining Robert, a New York Times Notable Book of the Year. His stories and essays have appeared in more than a hundred magazines and have been reprinted in more than fifty anthologies. He has won numerous awards for his work, as well as fellowships from the National Endowment for the Arts and the Guggenheim Foundation. He is a professor and writer-in-residence at the University of Massachusetts, Amherst.